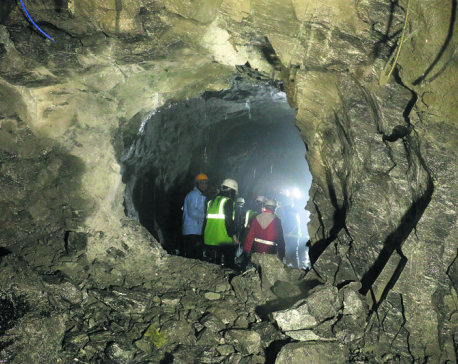 KATHMANDU/SINDHUPALCHOWK, April 10: The tunnel digging work under the Melamchi Water Supply Project (MWSP) was completed on Tuesday afternoon, seven years after the digging started . The breakthrough under the dream project, which has been much talked about for over three decades, has paved the way for bringing Melamachi river water to Sundarijal through the 27.5 km tunnel. This will entail continuous work for about three more months including finishing and work in concrete. 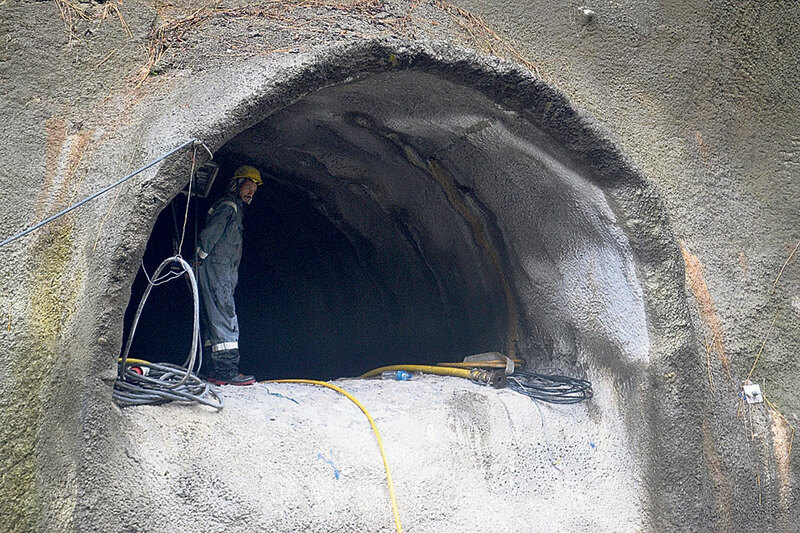 The tunnel breakthrough took place in the 7.5 km Sindhu Gyalthum section. The two other major sections were already dug through before this. Melamchi water is expected to reach Sundarijal by the end of July, said Rajendra Raj Panta, spokesperson of the Melamchi Water Supply Project. Despite delay in construction work on the project dams, 170 million liters of water per day will be diverted into the tunnel through temporary pipes so that water will be received at the treatment plant at Sundarijal. An agreement has been reached between Italian contractor CMC (Cooperativa Muratori e Cementisti di Ravenna), the consultant and the project office to arrange the temporary pipes as directed by government ministers and secretaries . Likewise, a sub-project under the main project will carry out the treatment of the water and test the pipes and distribution network, all in the course of another one month. “The water will reach households by Dashain at least within the major distribution network,” said Panta. “For all this to happen the full-fledged mobilization of the work force and equipment will be required. Four shafts for releasing air along the tunnel will also be required,” he added. Speaking at a press meet on Tuesday, chief of sub-project 2 Tiresh Prasad Khatri informed that they will complete the treatment process and testing of the distribution network and reservoir within a month. “Then we will gradually supply water to households,” added Khatri. A treatment plant of 80 million liter capacity is already in place and work on another similar treatment plant is underway. Officials of MWSP informed that the second plant will be completed by the time Melamchi water flows to Sundarijal. Italian contractor CMC started work on the project in July 2013 after the contract with the Chinese contractor was terminated for non-performance. Prime Minister KP Sharma Oli and ministers are visiting the Melmachi project site on Wednesday to formally announce the tunnel breakthrough, according to Bhoj Bikram Thapa, deputy director of Melamchi Water Supply Project.